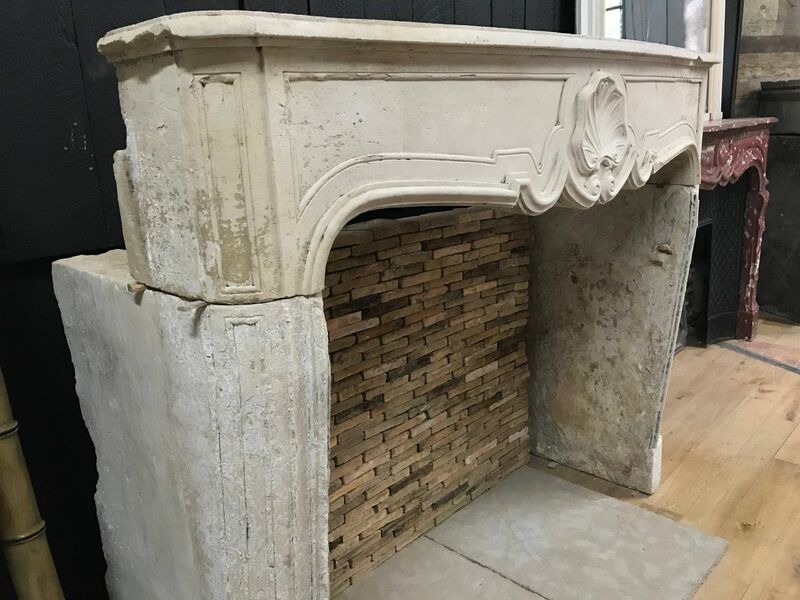 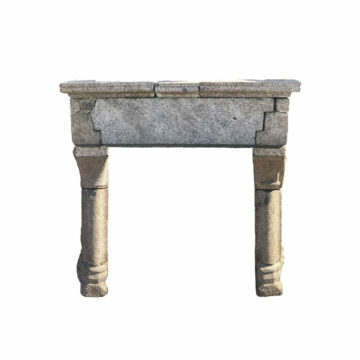 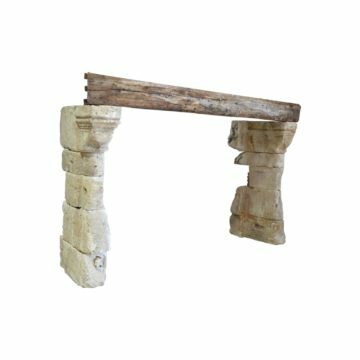 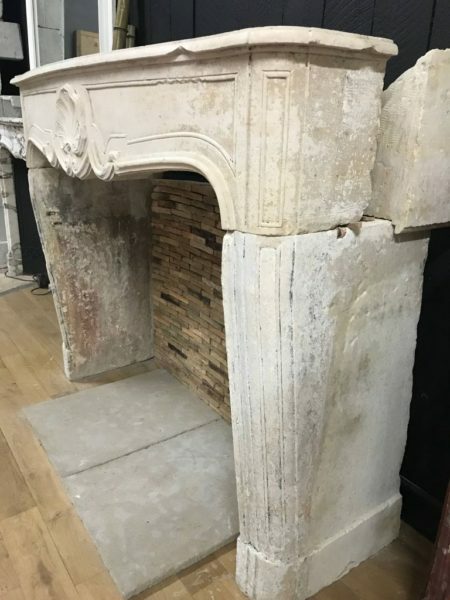 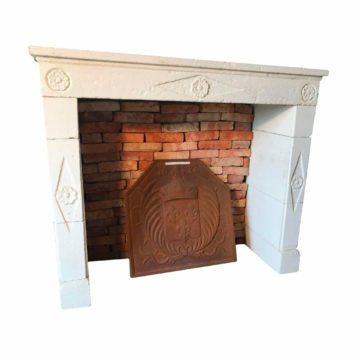 French Régence antique limestone fireplace. 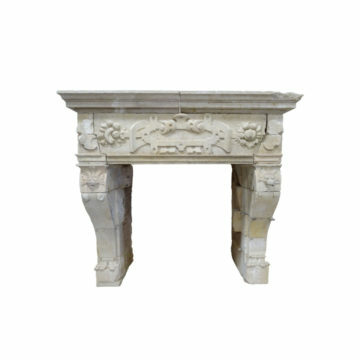 France’s Régence style is from the early years of the 18th century. 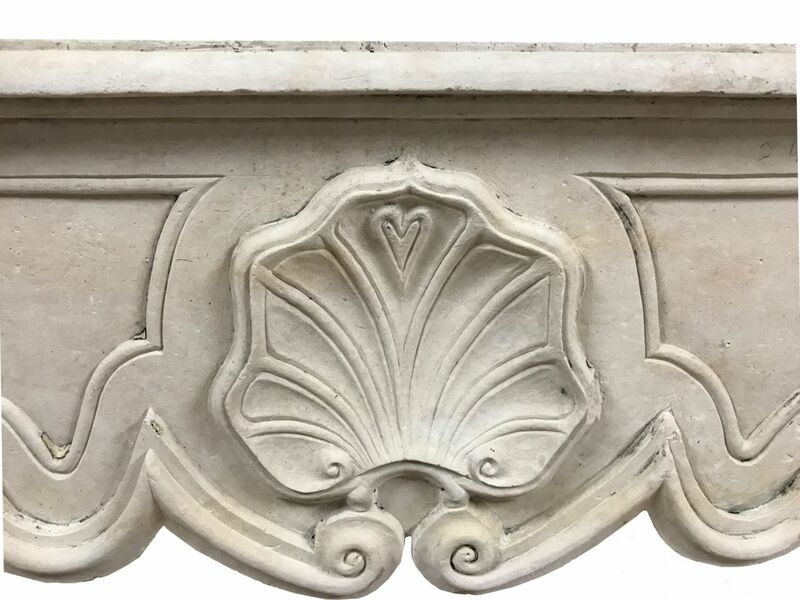 This chimneypiece features a superb scallop shell carved centrally on its ornate lintel. It’s overall weight is approx 600 kg (1,320 US lbs).